Learning how to homeschool is not hard. You first need to develop your own convictions. Discover the laws about educating your children at home. Then gather your materials. Most of us continue learning about home education along the way. So don’t feel that you have to know everything before you start teaching your child. The first tip that I want to give you on how to homeschool is to pray about your decision. Seek God to see if this is the right path for your family. Also have your spouse pray. Homeschooling is a big decision that affects your finances, time, and way of life. You may also want to ask some other people that you trust. But be warned that not everyone thinks that teaching children at home is beneficial. Listening to their qualms can help you find answers. They may think that your child will miss out on finding friends and being with peers. Determine what your child will do for socialization. Socialization is not a problem. Each of us has activities that we like doing. Here is a list of some of the ways your child can interact with other people. Another of their qualms will be if you can provide a quality education. Today we have an advantage. Many homeschoolers are successful. They have jobs and are raising families. You can also show your family and friends the curriculum that you plan to use and how you plan to homeschool. Myths – Not being qualified to teach your children is one of the myths about homeschooling. There are others. For every myth there is a solution. How do your children like to learn? Do you what to use an online curriculum? You can find answers by reading books and looking on the internet. The questions and answers that you come up with will help you develop a plan and vision for your homeschool. Besides questions think about how teaching your children will benefit your family, your child, and the community. Benefits - Here is my list of twenty-five different benefits to teaching children at home. Planning - Praying and thinking about what we want to accomplish can help us be successful. Here are more ideas about developing a vision. The next step is to research. You might want to know about the different learning styles, methods of teaching, and curriculum. One way that you can learn about homeschooling is to read. When I first started teaching my children, I read a lot of different how to books. Books - Here is a list of how to homeschool books that I found useful. I also attended a meeting at my library about homeschooling laws. The meeting was put on by the Washington Homeschool Organization. I learned about parent qualifications and what I needed to do each year. Each state as laws that is a little different. The laws sometimes change. You can look for your organization online. Another place to find out about homeschooling laws is HSLDA. So now you know your state’s laws and a little bit about teaching your child. You might want to research about teaching styles. There are several different teaching methods that families use. I started using unit studies. In later year I have used many different ways of teaching. One of the benefits of homeschooling is that you can change what you are doing at any time. You are only limited by your resources. Methods - There are many approaches to teaching. Read to see what method is best for your family. Besides different teaching styles there are different ways children learn. Some children learn best by doing hand-on projects. Other children like to do a lot of reading. When you are researching methods don’t only look for ones that you like but look for teaching styles that will help your child learn. Learning Styles - Children learn in different ways. Here are some ideas on how to teach to their learn style. And not to muddy the water further there are different companies that sell curriculum for each of the different teaching methods. You may like using textbooks but don’t like the textbooks from such and such a company. Now you have learned something about how to homeschool you will need to choose some curriculum. Before I buy materials I like to read reviews. With reviews I can see what other families liked and didn’t like about a product. Christian Review - What you need to know before you read reviews. Christian Curriculum - This is a list of some of the best Christian curriculum. Best Curriculum - More ideas for finding the best curriculum for your family. When I can I like to preview curriculum. One place that you can preview curriculum is at homeschool conferences. Most conferences have a vender hall where you can talk to company representatives. You can sometimes buy the curriculum at discounted prices. 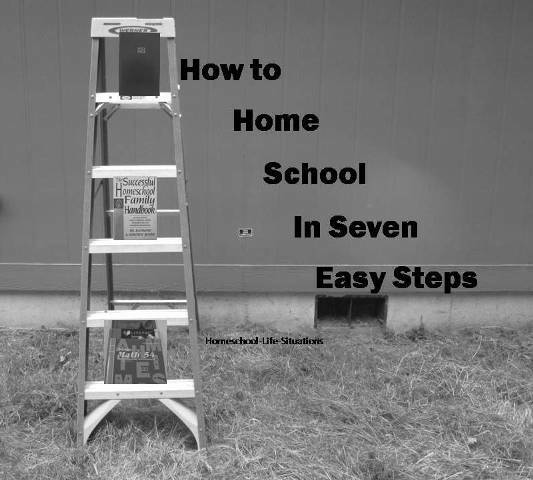 Besides seeing curriculum at a conference you can take how to homeschool classes. Many companies also have free online samples that you can download. It is a great way to see if the materials will work for your family. If you are on a limited budget there are ways you can save money. There are free worksheets and other recourses online. Free Worksheets – Here are five sites that I like to use for free worksheets. So now you have done some research about how to homeschool. You can start to gather materials and plan. If you went to a conference you probably picked up some curriculum. Or maybe you bought some products through a catalog or online source. Now you can start planning how you will use your materials. Some curriculum will tell you how many lessons need to be done so that the curriculum is finished in 180 days. If the curriculum does not have a plan then you will have to divide the lessons. Lesson Plans - Here are some examples of different types of lesson plans. You will also want to think about when you want to teach your child. Do you want a traditional school year? A school year that is similar to the public schools or do you want to teach year round. Another thing to think about is when you want to start your day. Will you teach in the morning and do chores in the afternoon? If you have preschoolers you might want to schedule school time when they are taking a nap. Schedule – Each year will be a little different. Learn to be flexible and make a schedule that works for your family. Daily Schedule – Some examples of daily schedules. Some parents like to write their plans down in a planning notebook. I have used the one published by the Old Schoolhouse. It was a large file with a lot of useful information besides planning pages. There were articles about homeschooling. I also liked the recipe pages. The company also published planners for students. Next you will want to plan a storage space for your school. Some families like to have a separate room. Having a separate room is not feasible for many families. We didn’t have a separate room but used the dining room table for writing and math. We also used the living room for reading. Room – Some ideas on where to teach your children. No matter where you teach your child you will need some storage space. Some of the items you might need are bookcases, storage bins, and filing boxes. The first several years can be hard. Friends, neighbors, and family may think that you are not doing a good enough job. They think that schools can educate your child better. Then you can also get discouraged. Teaching children is hard work. One way is to overcome your feelings is to get some support. Cooperative – There are some advantages and disadvantages of co-ops. I have also found how to homeschool ideas on different social media sites. I use Twitter, Google plus, and Pinterest. A lot of people will tell you how to homeschool. Remember you do not have to look like the public school. You don’t even have to teach like your friend. Each family home schools a little differently. We may use the same curriculum but do different activities. Our schedules might also look different. So have the freedom to be you. Find a method and schedule that works for your family. Problems - When you first start out you don’t want to think that there would ever be problems with homeschooling. Difficulties can happen. Often problems start in the first year on teaching our children. Mom - Here are some more ideas to help you keep your commitment to home education. Burnout – We all experience feeling overwhelmed from time to time. Here are some ways that can help us overcome being burned out. Dads- Here is some ideas to get Dad involved in homeschooling. Learning how to homeschool can be overwhelming but is doable. Once you start teaching your child come back to my site to find more practical tips and hands-on activities that your child will enjoy.